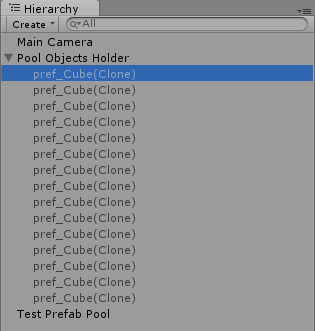 Simple Pool of Prefabs for Unity3D Game Engine on GitHub. What we have now is a set of instantiated and inactive objects. 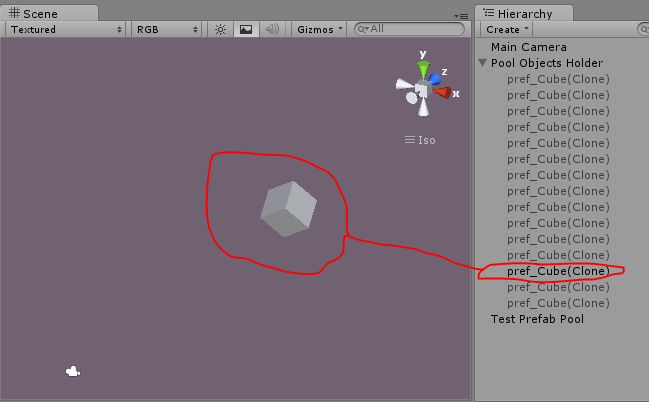 We do this when our game is loading to avoid further runtime prefab instantiations. We also pass a parent transform to constructor to avoid all these clones being located in Hierarchy root. 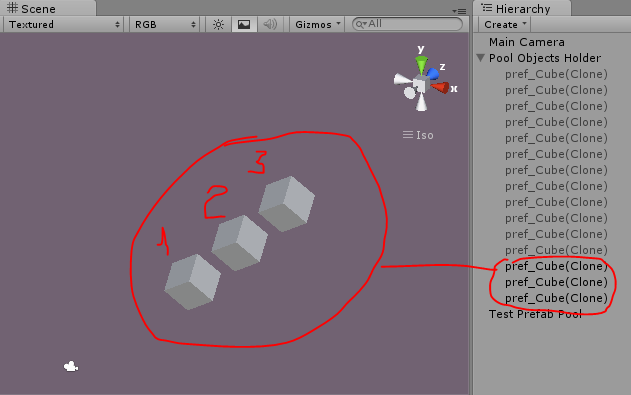 Ok, now when out pool of cubes is ready to use we are ready to obtain items from it. Summary: This project provides a simple implementation for pool of prefabs to avoid performance issues with run-time prefab instantiation. P.S. There may be some parenting issues (when changing items parent – with transform, layers, etc). Send me a pull request or link if you do so:) Glad it was useful.